THE Care Bill is a bid to tackle the agreeable problem that we live in a society where more people are living for longer. It sets a cap on what people will have to pay for their care and a minimum threshold of need at which people will be eligible for social care. But the critics are not hopeful. There is the demographic challenge, the slashing of budgets and concern that the reforms will bankrupt local authorities without necessarily making care any more affordable. This is where community comes in. The idea is that communities have an important role to play in supporting old people. As former Care and Support Minister Paul Burstow says, “without community, independence can become miserable isolation”. While we might expect care workers to have regard to the person they are caring for, they can’t take the place of neighbours, family and friends. Norman Lamb, the current Care and Support Minister, has therefore proposed the setting up of Neighbourhood Watch-style schemes. But can we really expect people to act in a neighbourly way? Negligent, if not downright abusive, neighbours are apparently responsible for the loneliness and isolation experienced by many pensioners. Health Secretary Jeremy Hunt has referred to this as our “national shame”. He argues that, instead of putting our elderly relatives in care homes, we should adopt the “reverence and respect” towards the elderly typical of Asian societies and, presumably, accommodate them ourselves. But can we put our trust in our families and communities when local authorities too, in an effort to appear pro-actively protecting ‘vulnerable’ older folk, would rather give the impression that we are routinely abusing them in their own homes? Despite these mixed messages, most of us understand that our communities are, on the whole, safe and caring places. But community is all about relationships and these are made possible by a good degree of mutual trust. This trust is being eroded by the obsession with alleged abuse and neglect on the part of the authorities. Confirming people’s worst fears is hardly conducive to building a sense of community. Indeed, the interventions of supposed protectors of the vulnerable represent the biggest threat to community, by actively undermining the relationships that underpin it. Communities really can, and often do, play a safeguarding role towards those who, as a consequence of old age, ill health or disability, may need support. While an unburdening of the state and a reburdening of communities is no answer to the elderly care problem, there is much to recommend the idea that neighbours, by looking out for each other, can safeguard vulnerable people. Early Intervention? Why not No Intervention? Last week I attended the launch of The Deciding Time published by the Early Action Task Force. Early Action – usually referred to as Early Intervention – has a good deal of support in official circles. Indeed, not only did the debate take place in Westminster but none other than Louise Casey, Director General for Troubled Families at the Department for Communities and Local Government, was there to respond to the report. I confess my own position isn’t one of enthusiasm. Though I found Casey surprisingly engaging – and oddly endearing – with her no nonsense case against the ‘liberals’ that dominate in welfare and social care circles; like many who hold to orthodox opinion about the supposed need to intervene in families to arrest their spiralling intergenerational decline, she was far less controversial than she imagined. Like I say, she got a number of things right. ‘There is nothing wrong with being judgemental’ insisted Casey, presumably hoping to pre-empt the frankly none-too-apparent outrage of the invited audience. That is what we ask social workers to do all the time, she quite rightly said. While I am no fan of the dubious grounds on which families are disrupted and potential carers refused the opportunity to start new ones; where there is cause to intervene it should be done with the not insignificant authority that the law allows. As I’ve commented before it is the failure to act on that authority rather than the stock-diagnosis of professionals not ‘working together’ that is so often to blame when things go wrong. But that doesn’t make the case for earlier intervention or more intervention, just better intervention. Indeed I would argue – as I did with Casey at the launch – that the problem isn’t one of when to intervene but of whether to intervene at all. Whether its with regards her current brief or her previous high profile roles as head of the Respect Task Force and before that director of the Anti-Social Behaviour Unit; she has made a career of responding to problems caused by too much – not too late – intervention. Rather than quibbling with the timing, something for which the evidence is at best mixed and the grounds for doing so evidently illiberal, wouldn’t it be better not to intervene at all? Now I confess in my own modest career working in the public sector I too have worked on an early intervention or prevention project or too. They’re hard to avoid in my line of work. But they don’t have to be illiberal. Actually, I think the approach can be defended up to a point. For instance, working with older people who may be at risk of being accommodated into a health or social care setting – with all of the attendant loss of independence and the expense involved in providing that more intensive care and support. If it is possible to find ways in which they might be able to continue to live in the community with a little more support – whether its insulating their home from the cold, arranging for somebody to pay them a regular befriending visit, or getting adaptations fitted in their home so they are less likely to trip and fall – then that is a good early intervention in my book. Having said that, even then, because we live in a culture of presumed vulnerability and incapacity that is only amplified in the health and social care sectors, there is the danger of over-identifying needs and deepening levels of dependency; rather than encouraging people and the communities of which they are a part to fall back on their own resources or become more self-reliant. While public services are often dysfunctional and if not under-funded certainly badly targeted, it is important to get that relationship between state and society right. It is all too easy to undermine people’s confidence or sense of responsibility for themselves by intervening too much – something that welfarism, ‘troubled’ families policy and social care provision are blatantly guilty of. So while the issue of how to use scarce public resources more wisely to support those who need it is very important, and The Deciding Time is a contribution to that discussion worth engaging with; we need to acknowledge first of all that investing in the greater public good can sometimes be as much about withdrawing state support for those who don’t need it rather than necessarily doing those interventions sooner or even differently. Whatever policy makers do they need to be sure that they don’t create more problems for society than they solve. As I said to Casey that’s how we got into this mess. Posted on December 8, 2012 Categories Care, Community, Parenting, Social care, WelfareLeave a comment on Early Intervention? Why not No Intervention? Disabled by campaigners, reabled by Paralympians? Baron Pierre de Coubertin, founder of the modern Games, is associated with two notions of what the Olympics – and by extension the Paralympics – is all about. First, we have Citius, Altius, Fortius (or Swifter, Higher, Stronger) and then there is – and I paraphrase – well, they’re only games aren’t they? It’s the taking part, not the winning that really counts. These are on the face of it contradictory notions, but the metaphor of the level playing field – and the idea that in order to have a chance of winning you need the opportunity to take part – is perhaps a more appropriate one when it comes to the politics of disability. That used to be the objective of chaining your wheelchair to the railings – or so I thought. Oscar Pistorius upset a few assumptions about level playing fields with his carbon fibre blades judged to be an advantage by critics at the Olympics. I was at the Paralympics to see a pissed-off Pistorius lose to the taller-bladed Alan Oliveira in the 200m final. While no longer invincible he had prompted many of us to conclude that the supposed heroism of Paralympians needn’t be of the patronising overcoming bad stuff that happened to them in the past variety. Beyond the back stories of personal adversity, prosthetic limbs weren’t what they used to be. And disability needn’t be as disabling as it once was. One might even have a competitive advantage as a consequence of a so-called disability and be enabled (with a little technological doping and a lot of training) to perform better than the so-called able-bodied. The President of the International Paralympic Committee asked that the word ‘disability’ not be used during coverage of the Games. ‘You know what the word ‘disabled’ means’ he said: ‘It means something doesn’t work, doesn’t function. How would you like to be called that?’ He was wrong to try to tell us what words we can use, but he was right to question what is meant by disability today. While most of us were getting excited about the Games and selling out the 2.5 million available tickets – others were getting worked up into frenzy over sponsorship. For campaigners, Atos, contracted by DWP to carry out the hated work capability assessments, became the Paralympic equivalent of Olympic sponsors Coca Cola and Cadbury. Cameron doesn’t give ‘Atos’ about people with disabilities they quipped hysterically. They called for a boycott of the evil multinational that had recently pledged to invest $100m dollars in International Paralympic sport over the next 10 years. Disabled People Against the Cuts joined forces with UK Uncut and scuffled with police outside the DWP and Atos offices; and the team GB athletes allegedly hid their Atos emblazoned lanyards at the Opening Ceremony. Far from inspiring a generation one commentator objected that the ‘sermon in form-fitting Lycra’ was being ‘exploited to make disabled people feel inadequate and guiltily dependent on the hard-working taxpayer’. According to Ade Adepitan, basketball medallist and co-presenter with Clare Balding of Channel 4 coverage of the Paralympics, ‘without DLA I would not have been able to do what I did or be a top athlete’. DLA is a non-means tested benefit used to pay for transport, equipment, care needs, etc and clearly relied on by large numbers of people. Former Paralympian Tanni Grey-Thompson explains that disabled people face typically ‘higher living costs as a result of their impairment’. Still 3.2 million people – that’s a lot of people, more than the record numbers attending the Games remember – are on DLA at a cost of £12.6 billion a year. The infamously tighter and apparently unfair new assessment criteria and testing regime are designed to get 500,000 people off DLA over the next four years as the benefit is phased out. I don’t doubt that there is more than a little substance to the ‘horror stories’ described by opponents of welfare reform. 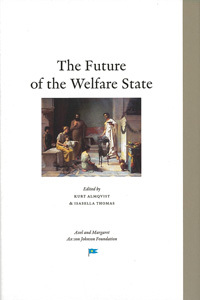 But the welfare system does need reforming, and more importantly our welfare culture needs challenging. It should support people with disabilities to lead active lives as far as is possible – the possible being something that needn’t stay the same as the Paralympians have amply demonstrated – rather than disabling them further as in my view it tends to do. Instead what we have from the critics of welfare reform is a diminished and dependent view of what people with disabilities are capable of. ‘Celebrate the Paralympians’ said Polly Toynbee ‘but remember what they say they need from the state to get them there’, rather insultingly seeking to place the welfare state on the podium rather than the athletes themselves. Echoing Toynbee, a disability rights activist claims that ‘their astonishing achievements would not have been possible without a state striving for inclusion, integration and equality’. So not only is it reasonable to question why so many people are claiming this benefit and whether the money might be better spent on reducing their dependency on the state. But to do so is also to challenge the belittling and state-enamoured assumptions held by those who think they are speaking on behalf of people with disabilities. This relentless portrayal of the disabled in the most unflattering of terms – as weak, vulnerable, state dependent creatures unable to do much at all – is hardly conducive to a struggle for something better. Never mind throw a javelin they can barely leave the house. They are the ‘hardest hit’ say campaigner’s intent on winning only in the sport of competitive victimhood. Which is all rather odd because the one thing that campaigners go on about endlessly is how badly disabled people are portrayed and how prejudiced the able-bodied are. The Games are an opportunity to educate the plebs into treating disabled people better we’re told. Indeed you’d be mistaken for thinking that that was the only reason for holding them. This is the Paralympic legacy. Bugger the sport we’ve got more important things to lecture you about seems to be the general line. That was the premise of much of the commentary both before and during the Games. While Jackie Ashley at The Guardian thought the Paralympics ‘may be morally more important than the Olympics’. Pistorius in a rather backhanded compliment declared the UK public ‘far more educated’ and therefore, presumably, well-suited to lecturing the rest of the world. The Games can ‘do quite a lot to change people’s perceptions’ he said. Critics argue that the government, with its welfare reforms, are making things worse by portraying the disabled as scroungers. Not only that they claim that a duped and prejudiced public are going along with it. The not very funny ‘comedian’ Jeremy Hardy joined the anti-Atos protestors and had this to say: ‘it’s just so cynical, because that strategy is being targeted at people who don’t have much, trying to make them hate people who have less’. Which as an analysis is itself both patronising and cynical. Philippa Perry, psychotherapist and wife of transvestite artist Grayson Perry, claimed: ‘Disabled people experience hate, guilt, patronising attitudes, avoidance and persecution’. Last year it was Ricky Gervais using the word ‘Mong’ on Twitter; this year, predictably enough, it’s Frankie Boyle going out of his way to offend. Actually the latter wasn’t being particularly offensive this time around. ‘It’s got to be weird being a Paralympian under this government’, he said in one of his tweets, ‘knowing that a medal means you’ll lose your Disability Living Allowance’. Unless jokes about the benefits system aren’t allowed anymore. That’s infinitely funnier than anything I’ve heard Jeremy Hardy say. Both Gervais and Boyle pricked the thin-skinned culture of offence-taking rather than feeding off any wider hatefulness toward people with disabilities. Mencap felt moved, nevertheless, to tell Channel 4 to ban Boyle from causing ‘profound offence to disabled people’. George Galloway – again on Twitter – caused offence by calling somebody a ‘windae-licker’, a derogatory term for people with disabilities. One, I confess, I hadn’t heard of until the comment was retweeted and no doubt offended all the more as a result. And once more prompting Mencap to feel outraged. They called the comments ‘deeply offensive’ declaring: ‘Hate crime and bullying are a daily reality for many disabled people and the use of language like this only furthers hostility and violence.’ But is this really the case? It’s repeated so often you’d think it was an incontestable fact. One recent Guardian headline screamed that disability hate crime is at its ‘highest level since records began’. Reportedly, there were 1,788 recorded incidents (though far fewer convictions) in England and Wales in 2011, representing an increase of 18% on the previous year. Which, incidentally, is when records began. So who’s disabling who here? Maybe they have ulterior motives but it’s ironic that it’s the reforming political class not campaigners who seem to believe most in what people with disabilities are capable of. Far from defending the welfare status quo, those who really want to improve things should be asking some searching questions about it. Much as they are in regard to Remploy and the shockingly poor and sometimes abusive care standards in care homes for the learning disabled. The failure of compassion levelled at Atos and DWP may well spring from the same managerial culture that is so undermining standards of care. So I am not arguing that the state should no longer support people with disabilities. But it can do a much better job and campaigners should be standing up for disabled people’s independence not portraying them as helpless victims forever dependent on handouts. Still both are complicit in today’s culture of low expectations and an elitism of the non-sporting kind that disparages the attitudes that it presumes most people hold. This is doubly patronising, making victims out of the disabled and bigots out of the rest of us. If there is a Paralympic legacy it should be to challenge this culture and, like the Paralympians, not just take part, but aim to go Swifter, Higher, Stronger. Posted on September 18, 2012 Categories Care, Disability, WelfareLeave a comment on Disabled by campaigners, reabled by Paralympians? A recent ruling has given encouragement to those demanding a better deal when it comes to social care for people with disabilities. According to The Guardian, from now on ‘councils must make it clearer to service users how a proposed care package would meet their eligible needs’. This is an important step, say campaigners, toward greater clarity about what care the disabled are entitled to; and a challenge to the operation of a much-maligned and clearly unfair ‘postcode lottery’. However, while this ruling is welcome, the care problem for people with disabilities runs so much deeper. The Winterbourne View scandal was one of the more disturbing examples of why concerns about cuts, funding formulas and assessments – while important – are not the most critical issues facing the care system today. Notoriously ‘secretly filmed footage’ at a care home by BBC Panorama ‘appeared to show residents being pinned down, slapped, doused in water and taunted’. Rather understatedly one commentator argues that Winterbourne shows that we need ‘more dignified and suitable types of support’ for people with learning disabilities. Of course this is true. As it is for those working at the Remploy factories currently being closed down by the government. According to lobbyists the problem is to do with the ‘large institutions’ charged with, and clearly failing to, provide care. The institutions that serve the learning disabled so badly need to be torn down. And yet scandals like Winterbourne suggest that something else very worrying is going on. The neglect and abuse of so-called ‘vulnerable’ people, in particular those with learning disabilities, is a problem associated with institutional care but it is not the institutions themselves that are to blame. While the problem of poor care standards has been recognised for some time in both the NHS and in the social care system; anxieties about abusive and neglectful care, mostly overblown, have tended to focus on informal and private arrangements in the community. But more often than not it is formal, state-funded provision that is found wanting. Half of the health and social care settings visited by the Care Quality Commission (CQC) inspectors following Winterbourne were failing to meet minimum standards. But what does this mean? And what can a body like the CQC do about it? Impose more standards? It is the administering of care itself that is at the heart of the problem. As the chair of South Gloucestershire’s Safeguarding Adults Board put it, on publication of the serious case review, Winterbourne ‘should have been a safe place for them to be treated with care and compassion’. The particular institutional settings, no matter how old-fashioned or unpleasant, are secondary to the quality of the caring relationship. It is the institutional culture that matters most. Indeed, one might argue that the CQC is itself a part of the problem. Might it be that an overly-managerial and target-driven care system is just not conducive to the fostering of professionally compassionate relationships between carers and the cared for? Posted on September 9, 2012 Categories Care, Disability, Social careLeave a comment on Disabling the care relationship?